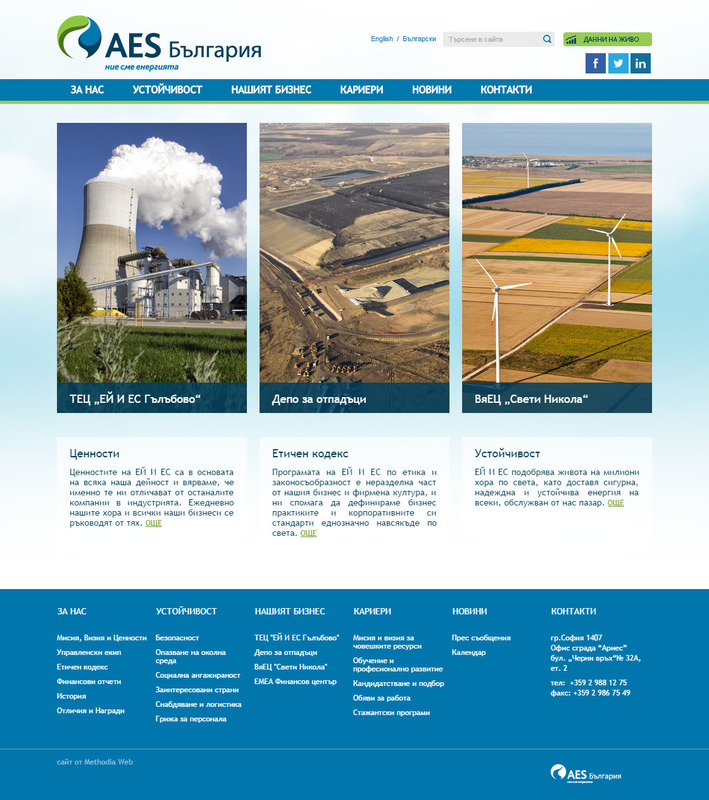 Design and development of AES Bulgaria corporate website. AES is part of the Europe Strategic Business Unit of AES Corporation, which is one of the largest global power companies. Bilingual corporate website with custom design and WordPress CMS module. The website has custom made animated timeline and LiveData module that reads remote XML files from an external system and draws custom designed graphics with the current load of the plant.